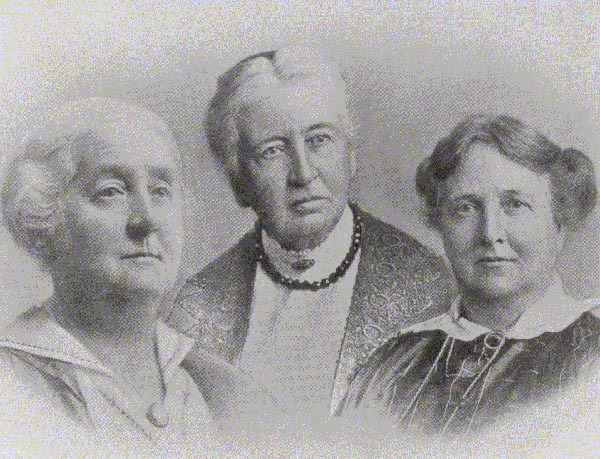 Connections with Brighton and Hove : Probably the most famous girls’ school in Britain, Roedean was founded in 1885 by three sisters, Dorothy, Millicent and Penelope Lawrence. 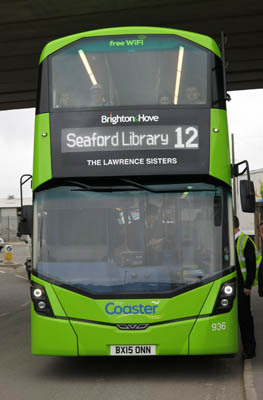 It was based in Lewes Crescent, had ten girls and was so modest that it did not even have a name. The school expanded to include other addresses in Kemp Town before moving to Sussex Square where it was known as Wimbledon House School. 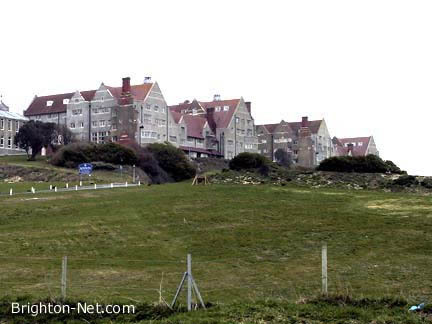 Its grand buildings overlooking the sea at Roedean were designed by Sir John Simpson on land owned by the Marquess of Abergavenny. Work started on the imposing structure in 1897 and was finished two years later. The school expanded steadily after that and now has many other buildings. It has one of the best academic records in the country. 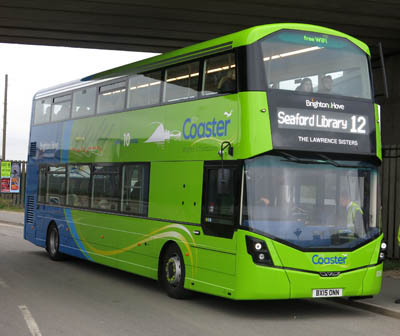 936 Mercedes Streetdeck - carried name since delivery in April 2015 on Coaster Route 12.